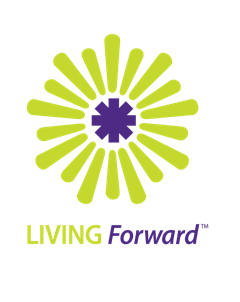 The following webinars are part of The Heart of Being Human webinar series by the Living Forward LLC coaching and training organization. Explore why and how to face your fear as part of making positive, conscious changes in your career, relationships, and the overall quality of your life. Acknowledging fear-based obstacles is vital to creating career and life changes to transform your life! Available for purchase at Living Forward LLC. Have you ever wondered why you're holding back with your professional aspirations or your creative potential? Have you ever wondered what it would be like to connect with the deep, untapped well of possibilities within yourself, and let it flow? Do you feel out of synch with messages from parents, teachers, and peers about how to be successful in your work and your whole life? The good news is that you can learn what authentic success really looks like and feels like for you, now. With this new awareness, you can create the career and whole-life changes that give purpose and joy to who you are at this time in your life. SPECIAL WEBINAR PACKAGE - Transforming Fear into HEART-CENTERED Success in your Work and Your Life! Finding purpose and meaning to live the life you love takes courage and work. This combination of Eve's three webinars will help you look at your whatever holds you back, and transform it into the energy it takes to create success and purpose in your own terms for your own life. This special webinar package includes Facing the Fear of Change, Using the Wisdom-Energy of Your Body to Create Positive Change, and Defining Success in Your Own Terms-- all at a 20% savings to you. "If you want to make meaningful career or life changes, these three webinars are indispensable! make successful, authentic professional and personal changes that matter to you. As a plus, I've found that listening to the sound of Eve's voice on these webinars leads me into a meditative state where the words sink deeply into me and stay with me. you'll be on a powerful path to transforming your life! I enjoy helping people in group settings who are feeling stuck in career and other life transitions learn how to move forward again with confidence, clarity, and passion! Over the past decade, I've offered a range of lively, interactive teleclasses, as well as presentations in educational, business, and alternative lifestyle settings on how to be pro-active in creating positive changes with awareness and purpose. If your group or organization would like to host an on-site presentation, retreat, or teleclass using coaching techniques to motivate your members or staff, I invite you to contact me for a free consultation. What Is It to Live Fulfilled? Getting Real— Living Life Like You Mean It! How to Create Career and Life Choices that Matter! I'm also happy to create presentations focused on the particular interests of your group or organization. "I could hear lots of people participating in your teleclass today. It was great to hear the way you facilitate and engage people with both coaching and somatic awareness. Great learning for me! Really, the class seemed too short." "I really enjoyed your teleclass, 'Facing the Fear of Change'! I learned some new things that will be very useful in my work, especially the need for more support and collaboration. Now I want to look at your book! I really liked the experiential quality of your class and found lots of value in the back and forth conversations between you and the participants. Well done!" "Great presentation, Eve! You have a fantastic presence, and I look forward to working together on another project together soon!" "I'm so glad I was part of your class about celebrating our lives. It was such a timely and appropriate thing to do just before the holidays. I was really moved by your attentiveness and presence. In a year when the balance has tipped more towards worry and anxiety, it was important that you helped us invoke our moments of success and serenity, too."